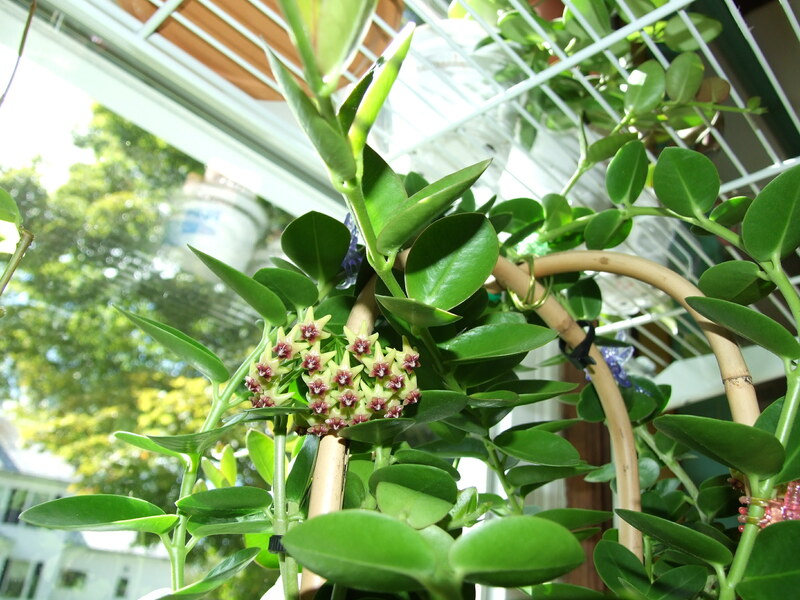 Hoya cumingiana is one of my top 10 must have Hoyas for the area that I live in. 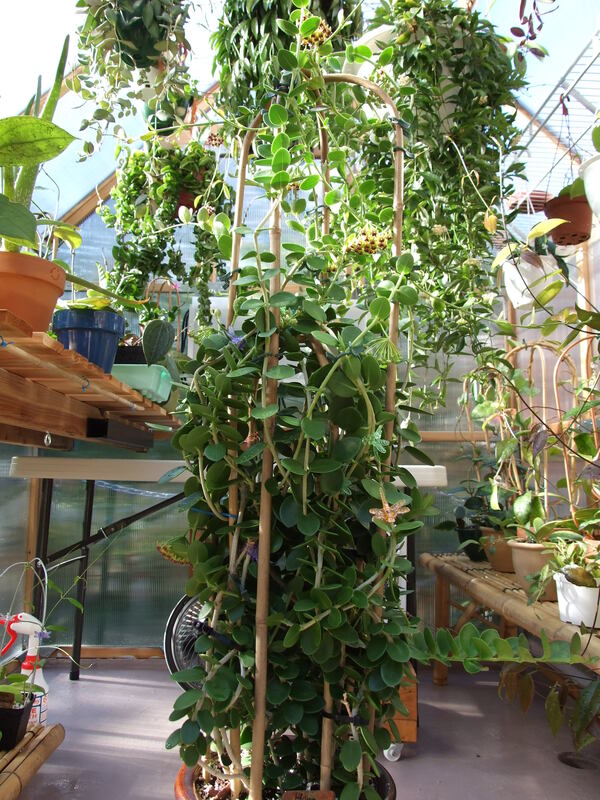 This is an easy care, no special demand fantastic houseplant. It will start blooming for you at less than two-years of age, and the blooms smell of cinnamon! I feel strongly that this Hoya should be grown on a trellis to look its best, and it also needs to be trained and tied because it is a non-twining, scrambler. The flowers do drip a fair amount of nectar, but a quick trip to the shower will clean it right up again. 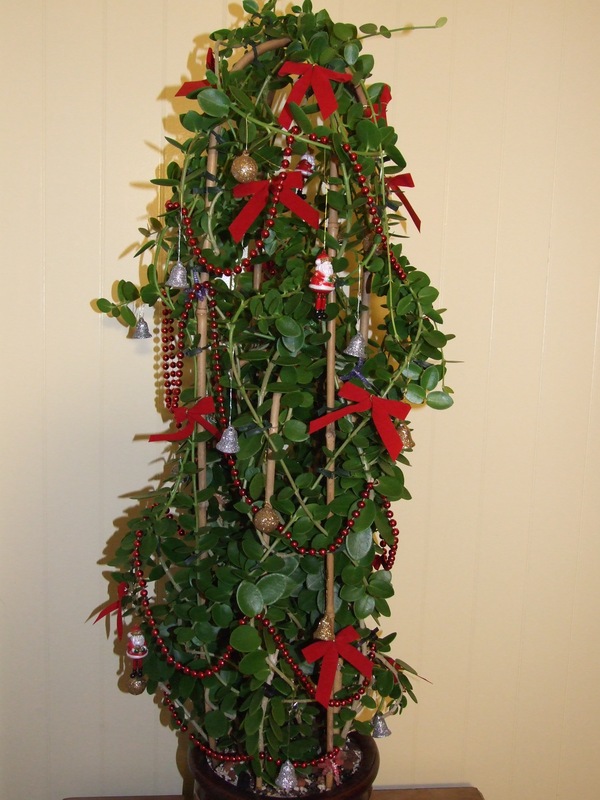 My plant is now over four feet high, and has been decorated for Christmas. I just love this Hoya!! Also, see entry for Hoya cumingiana (large leaf). 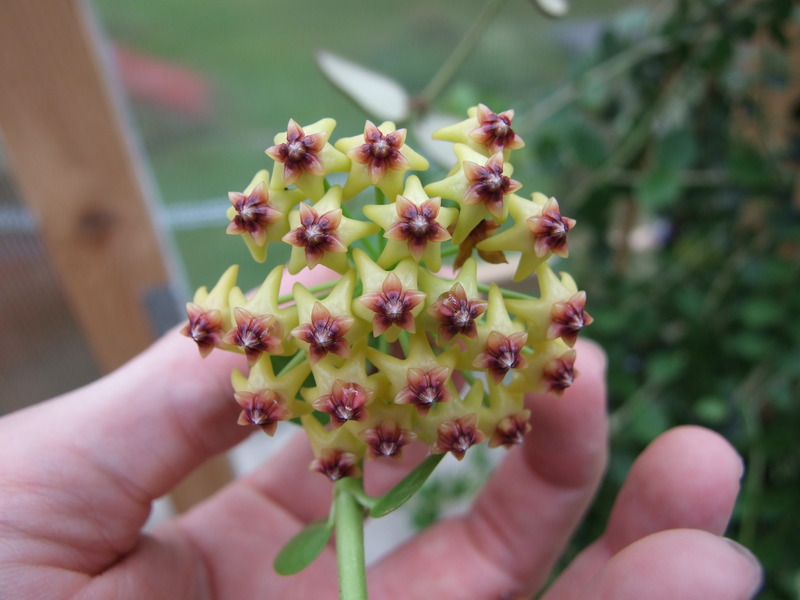 **New** A Visit with Hoya cumingiana video tour – See link below.